Tributes have been paid to a former Lancashire Telegraph journalist who has died of cancer at the age of 80. Tony Carter was a senior member of the paper's editorial team for 40 years. He started in journalism as a teenager on the Telegraph in his home town of Morecambe, before holding a series of titles including chief reporter, deputy news editor and features writer. He worked as assistant news editor at the then Lancashire Evening Telegraph on his retirement in 2002. 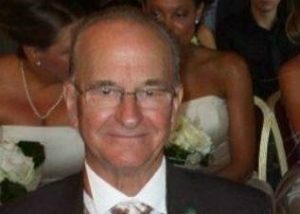 He moved to the Midlands after the 2011 death of wife, Carmel, and leaves Susan, three step-children, and eight grandchildren. Former Lancashire Telegraph assistant editor Nick Nunn said: “Tony was a cornerstone of the paper's operations for four decades.